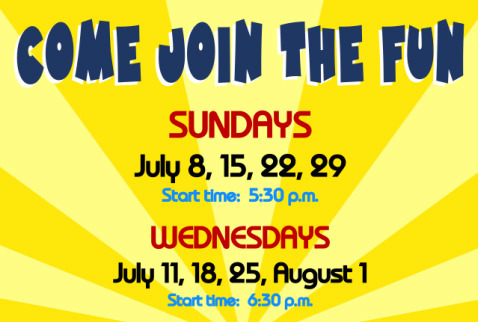 Are you ready to provide a TON OF FUN for your kids during the month of July - Wednesday and Sunday nights?!? Then MEGA Sports Camp is right for you! At MEGA Sports Camp, TEAM SPIRIT, kids (ages three through Kindergarten and Grades 1-6) WILL have a ton of fun learning about sports and discovering character-building concepts that are LIFE CHANGING. Most importantly, kids will discover God's great love for them. So plan to join us - MEGA SPORTS CAMP 2018. We can't wait to meet you! REGISTER TODAY!